No, Mom, I'm not going vegan. But, I am making killer-awesome vegan pies. This is one of those pies that I'd make for all of my new vegan hippie friends in Ithaca. I'd make it for my friends down South and my friends out West. I'd make this pie for my friends that keep kosher and for my Muslim friends. I'd even make this pie for my dad who is a member of PETA (People eating tasty animals) and firmly believes that vegetables-don't-a-meal-make. Can I tell you something about this pie? It's made with a very special ingredient. Tofu! I know, I know. 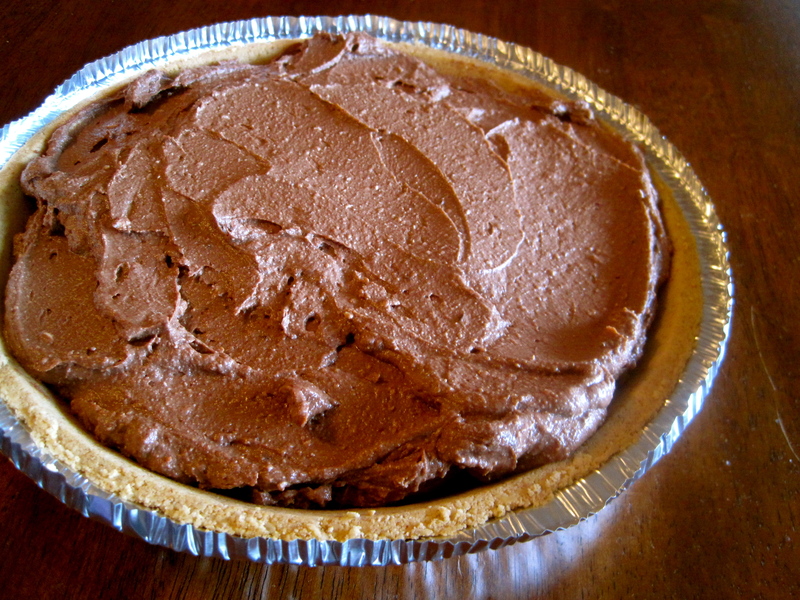 Right now all of you die hard, heavy cream- filled chocolate mousse pie fans must be rolling your eyes at me. 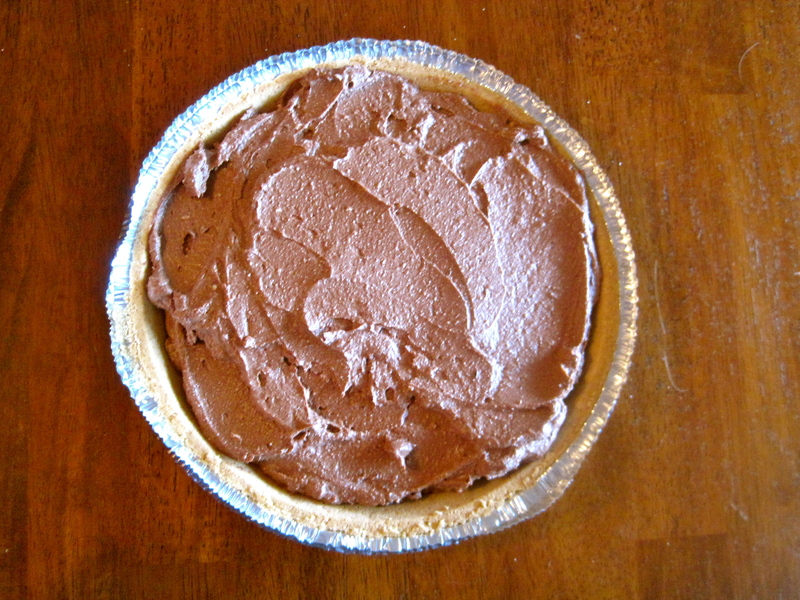 The trick to this pie is to really puree the mousse. 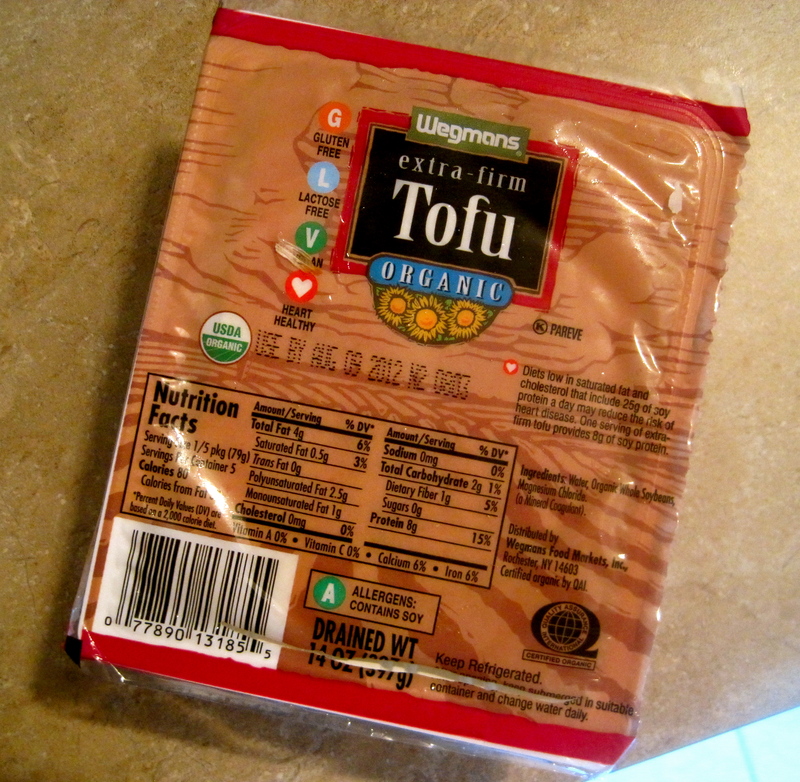 You want to make sure that the chocolate peanut butter and melted chocolate are very incorporated into the tofu. 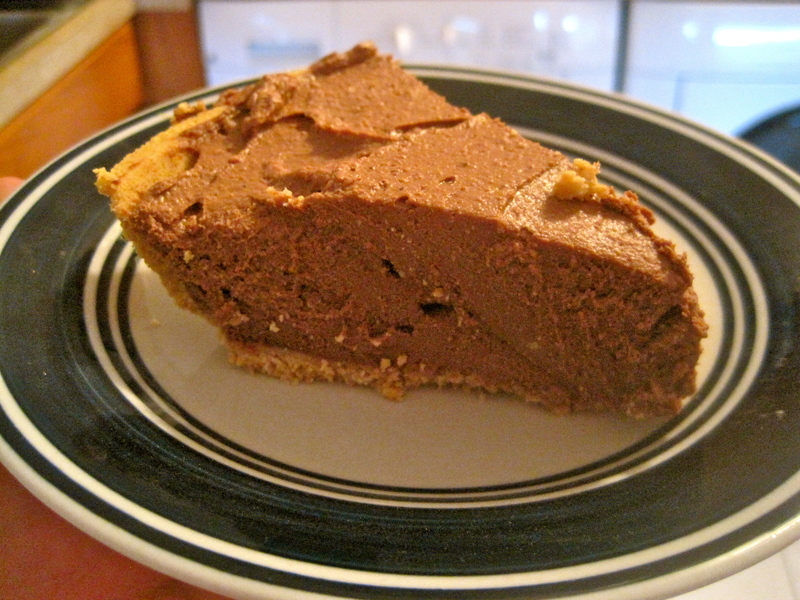 You can also make this pie with your favorite homemade crust, if you prefer. If you're not able to find chocolate peanut butter in your grocery store, try making it yourself by adding a few tablespoons of cocoa powder to smooth peanut butter and mixing well. 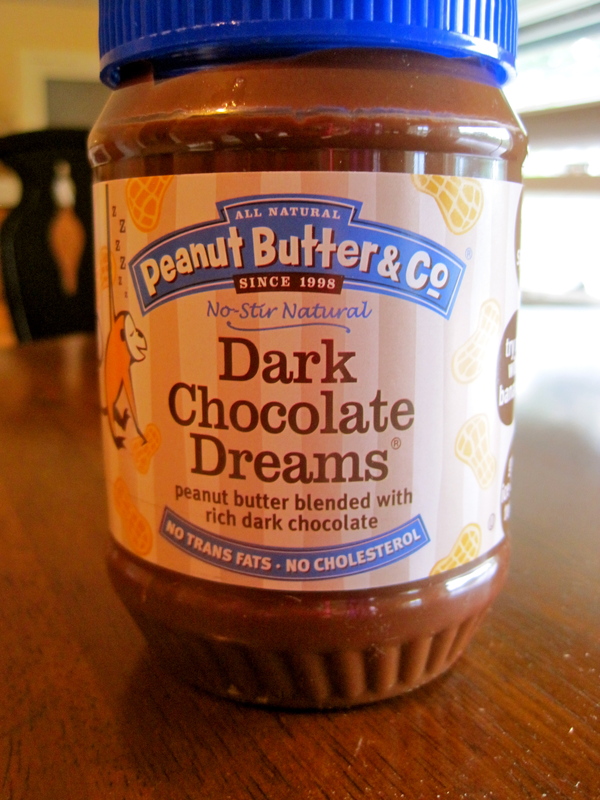 Agave nectar or maple syrup can also be added to sweeten your homemade chocolate peanut butter. 1. In a food processor (or with an immersion blender, like me), puree the tofu, melted chocolate chips, chocolate peanut butter (or hazelnut spread) and milk. Puree until very smooth (you shouldn't be able to see any white from the tofu). Spread mixture into prepared pie crust. You can eat it right away, but it will firm up the longer it sits in the fridge. Store leftovers in fridge for up to 5 days. Recipe lightly adapted from (never home) maker.